Former child actor Butch Patrick meets the first people in line for his guest appearance in Fairborn on Friday afternoon. 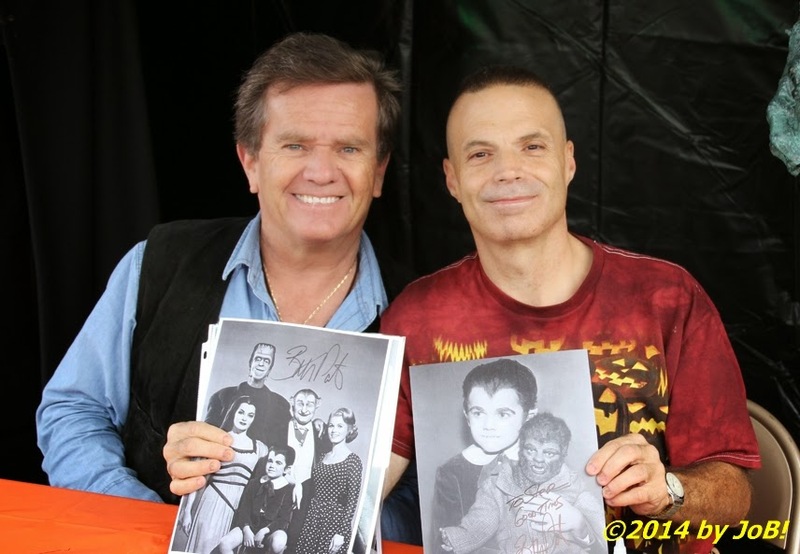 In an event designed to draw attention to the city's upcoming Halloween Festival, Fairborn welcomed former child actor Butch Patrick to Foy's Variety Store on Friday afternoon for a well-received guest appearance for his western Ohio fans. Patrick is best known for playing Eddie Munster, the werewolf son of Herman and Lily Munster, on the eponymously named prime-time situation comedy that ran on CBS from 1964 to 1966. After that show's run, he made guest appearances on other television series and also had roles in several Walt Disney movies. In 1971, he landed the starring role as Mark on the "psychedelic" fantasy show Lidsville that ran for two seasons on Saturday mornings through 1973. People line up along Fairborn's Main Street awaiting their turn to meet Butch Patrick at Foy's Variety Store on Friday afternoon. Michael Foy, owner of a variety store, a nearby restaurant and several other costume stores in the downtown Fairborn area, contracted with Patrick for the 5pm to 9pm appearance. During late September and the month of October, the city's business district transforms into a Halloween-centric spectacle with all manner of spooky decorations and objects on display on storefronts and on top of buildings. 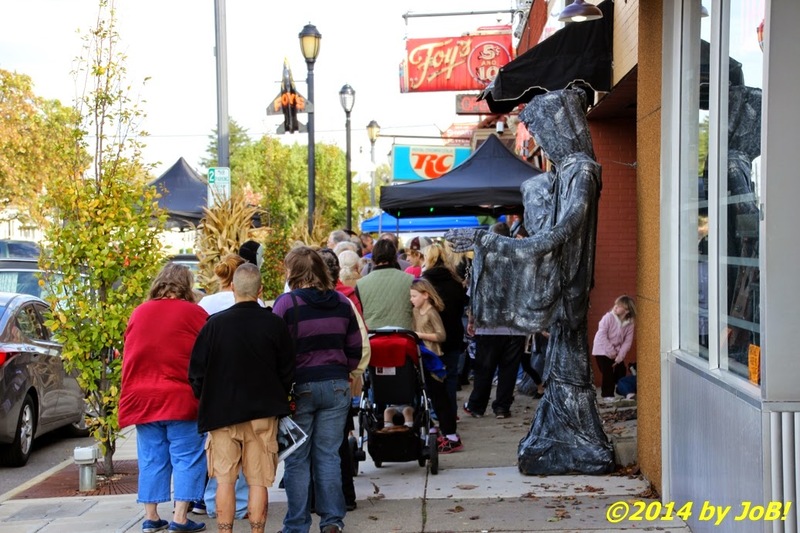 The 3rd Annual Fairborn Halloween Festival will be held on October 24th and 25th and is billed by the Fairborn Area Chamber of Commerce as a family-friendly event. 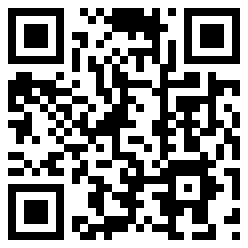 A Spooktacular Parade will be held on Friday evening at 7:30pm with costume judging starting at 6pm. 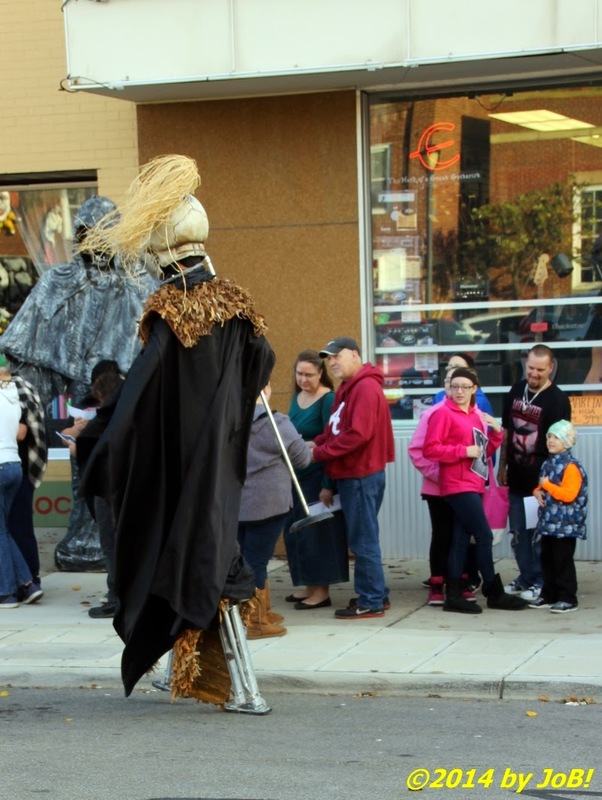 Saturday's activities--which includes rides, entertainment and vendors--will happen throughout the day and the annual Zombie Walk will be held at 8:30pm. 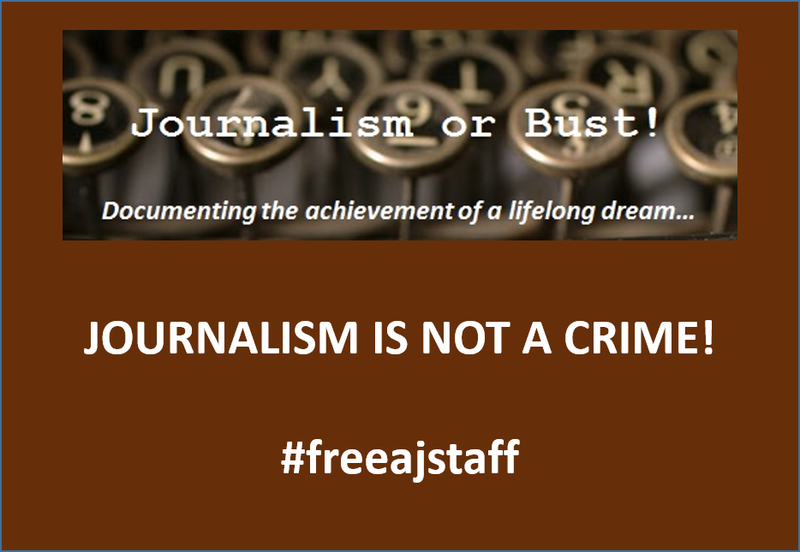 More details can be found at the Chamber's web site. 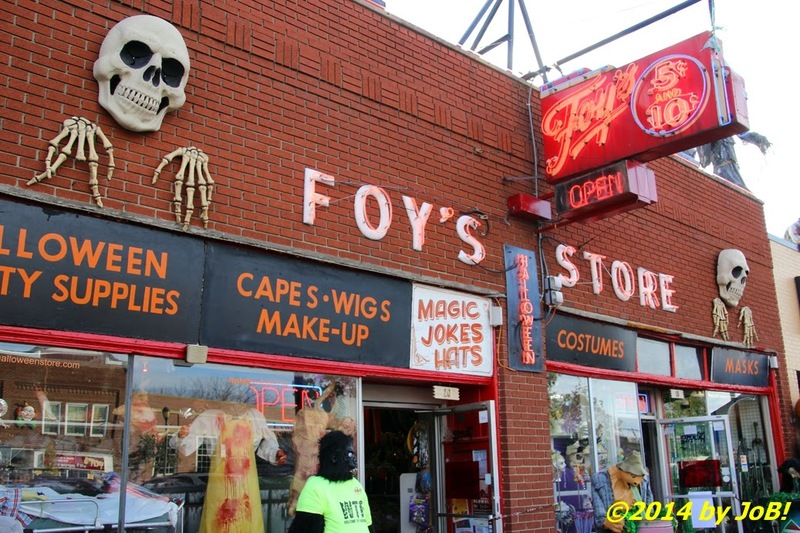 Halloween decorations adorn Fairborn's Foy's Variety Store for the Butch Patrick guest appearance on Friday afternoon. 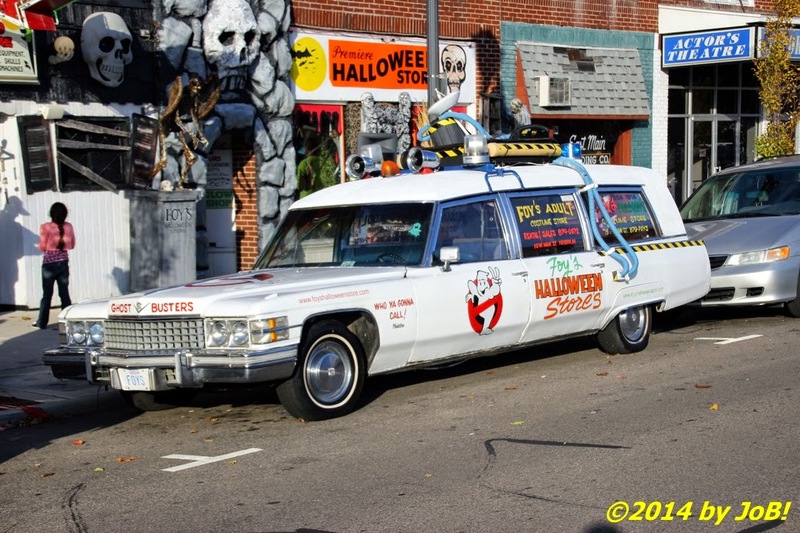 An homage to "Ecto-1", the vehicle used in the 1980s Ghostbusters movies, is parked along Fairborn's Main Street for the Butch Patrick guest appearance on Friday afternoon. 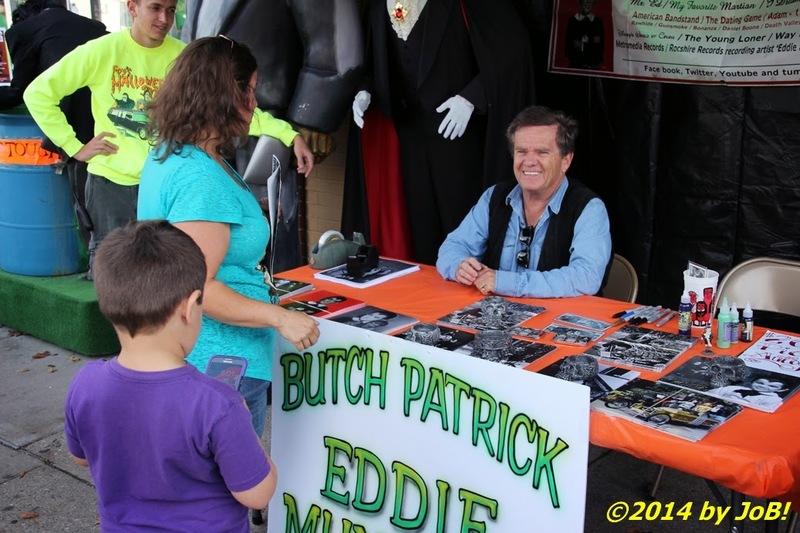 A costumed actor attracts stares from several people waiting to meet Butch Patrick at his Fairborn guest appearance on Friday afternoon. 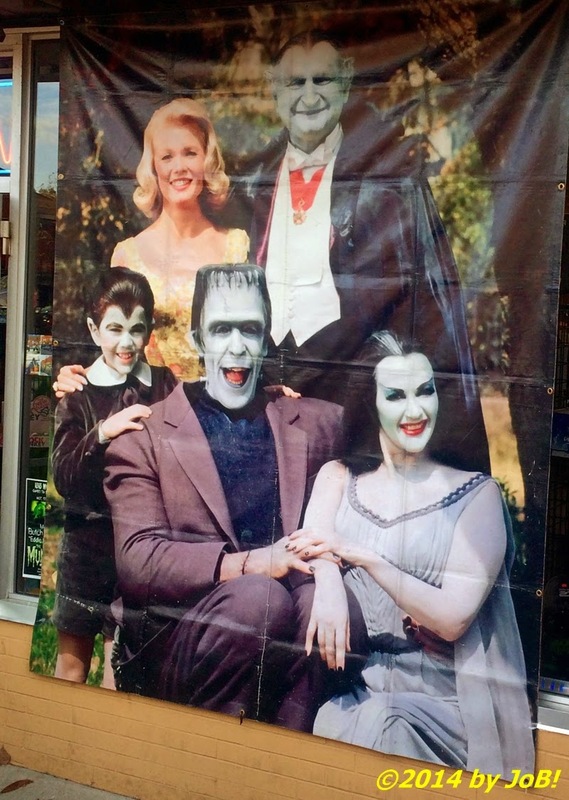 A poster of the cast of The Munsters television series hangs on a Main Street storefront for Butch Patrick's guest appearance in Fairborn on Friday afternoon. From left to right are Patrick as Eddie, Pat Priest as Marilyn, Fred Gwynne as Herman, Al Lewis as Grandpa, and Yvonne De Carlo as Lily. Longtime fan Stephen Hansen, right, poses with Butch Patrick during the former child actor's guest appearance in Fairborn on Friday afternoon.